Thursday & Friday, Dec. 29-30—KILLINGTON—Killington Resort offers two-day race camps with former Olympic athlete Chelsea Marshall, Dec. 29-30. This is a unique opportunity that empowers kids by creating a positive, healthy environment on the mountain with instruction provided by high-energy and knowledgeable race staff. Chelsea Marshall grew up skiing at Killington Resort. She developed a love for the sport at a young age and fearlessness for speed. Chelsea was a member of the US Ski Team for 10 years, where she took a liking to Downhill and competed in the 2010 Olympic Winter Games. She had a very successful World Cup career with a couple of top 10 finishes and a handful of National podiums. Racing aside, she has always returned home to Killington to free ski and stay connected to her home mountain. Her experience and work as a head women’s coach at the Killington Mountain School, combined with her love of the sport, make these camps a truly unique opportunity to learn from one of the best. On Dec. 29-30, join Marshall and her energetic staff on the mountain they call home for two days of free skiing, skills drills, gate training, tuning tips, and more. This camp is designed for beginner aspiring racers. Cost is $299. Register at killington.com. 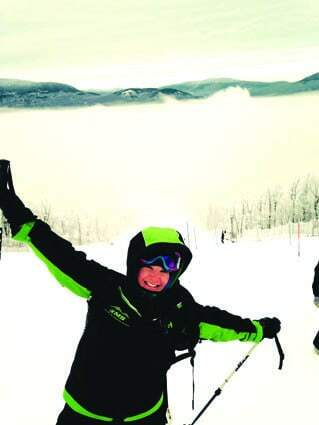 Then, Killington offers another camp, Jan. 14-15. This camp targets young racers that are looking for another challenge and have a need for speed but do not have the time to commit to a full-time race program. A future camp, offered Feb. 25-26, will be two days filled with basic drills, freeskiing and learning to love the sport. Come share Chelsea Marshall’s passion for the mountain and her love of racing. Each two-day camp includes a two-day lift ticket; two days of coaching and gate training (meet outside Ramshead Lodge at the Drop Zone yurt at 8:45 a.m. and pick up at 3:30 p.m.); video analysis; and lunch each day. For more information and reservations, call 800-923-9444.